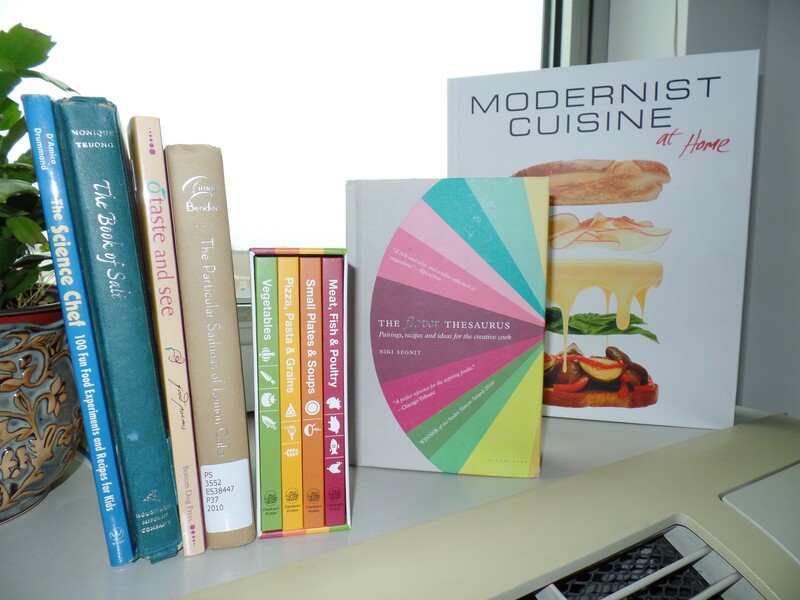 The Book Collecting Prize sponsored by Bucknell University Press and Library & IT has come to a close, and after reviewing many fascinating collections with themes from theater books to Cormac McCarthy novels, the judges have chosen Phuong Nguyen’s collection of books on food and cooking. Phuong grew up as a Vietnamese-American, with cooking as a central part of her life. Interestingly enough, she did not always have a curiosity for cookbooks. “My mother never wrote down a single recipe for me to remember. She always just showed me how to cook something, and somehow, I would just remember. There was never a cup of this, or a teaspoon of that, but rather a gut-reaction that told me to put the fish sauce down,” Phuong recalled in her essay. However, as Phuong grew older, she was introduced to new things at school through reading assignments and book fairs. She discovered a new magic in The Science Chef, a book that revealed another world of baking. And then, when she acquired her first library card, her palette expanded with It’s Disgusting and We Ate It! True Food Facts from Around the World and Throughout History. “The idea of food being ‘weird’ and ‘disgusting’ just means that it isn’t in our normal cuisine. When I was a kid and read that bird’s nest soup and armadillo were regular dishes to some people, I thought that was insane! However, after learning the history and culture based around different dishes in this book, I came to an admiration for ‘1000-year-old’ eggs and cactus,” she wrote. Beyond this, Phuong has connected with the cultural side of cooking through Amy Tan’s The Joy Luck Club as well as Kitchen of Light: The New Scandinavian Cooking. While The Joy Luck Club reminded her of her own experience with food, embedded with “rich memories, culture, and meaning,” she held an appreciation for Kitchen of Light as well for its way of relaying authentic ways to cook an ethnic dish. “Although it is hard for anyone to replicate these recipes authentically, [the book] does not skimp around and give suggestions on how to make mediocre dishes. I think back to the foods that my great-great grandmother could have made, and I would rather see her recipe than a knockoff version,” she explained. Again, these books tied back to her identity as a Vietnamese-American. 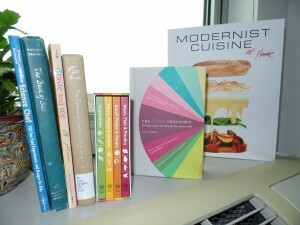 Phuong’s collection has even grown to include poetry and fiction revolving around food with O Taste and See: Food Poems as well as The Particular Sadness of Lemon Cake, which, she explains, really highlights “the intersection of emotion and food.” These books made her look at food in a new way, made her more appreciative of the art of cooking and the chef behind it. Though Phuong was a linguistics major at Bucknell, she took an environmental course that opened her eyes to the greater world of the food industry, adding to her collection The Third Plate by Dan Barber, and two books by Michael Pollan: Second Nature: A Gardener’s Education and Food Rules: An Eater’s Manual. Phuong is currently attending graduate school in Philadelphia, having graduated a semester early in December 2014. In addition to finishing her first semester at Temple University’s TESOL program, she also teaches conversational English classes to adults who have recently immigrated to the States. She feels quite passionate about this work, especially given her own experiences growing up with immigrant parents who have low English proficiency—parents who so stimulated her love for the cooking and food that inspired her book collection. In addition to collecting books, Phuong also has another food-related collection of seeds, partly driven by her parents’ lifestyle of gardening. Though Phuong has yet to decide on concrete plans for the future after graduate school, a long-term goal of hers is to write a novel. But she’s not putting her love of cooking to the wayside. She hopes to incorporate food and cooking-inspired descriptions throughout this future work. At a time when bookstores are closing, electronic texts are proliferating, and libraries are investing more and more of their resources into electronic media, it is easy for people to begin to see books as no more than discrete functional or disposable objects. This prize offers students the opportunity to build their own book collections. It encourages students to reflect on their lives, their learning, and their personal interests. Behind these considerations lie the larger recognition of the importance of the Ellen Clarke Bertrand Library and the University Press to the Bucknell campus, for every great university and institution of learning has, at its center, a great library and a great press. The prize, open to all Bucknell students, asked collectors to submit a bibliography together with a short essay (1000-2000 words) explaining the theme and significance of the collection. The winner was awarded $500. The judges based their decision on the intelligence and originality of the collection, its coherence as a collection, as well as the thought, creativity, and persistence demonstrated by the collector and the condition of the books. The monetary value of the collections was not a factor in determining the winning entry.